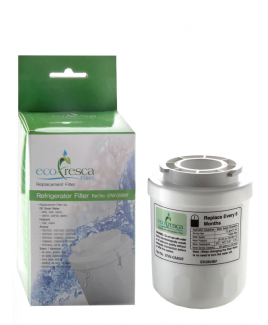 Clean, great tasting water and ice is what you get when you purchase the ecoFresca Filter DA29-00020B water filter. 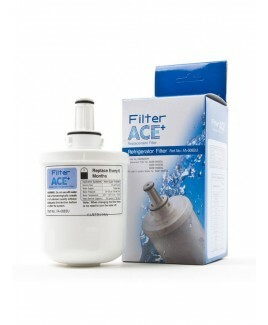 With this filter you are receiving the expertise of a world leader in liquid filtration You can be assured of getting high quality water for your home or your business that is free of harmful contaminants such as chlorine, dirt, rust and other particles, as well as unpleasant odors and tastes. 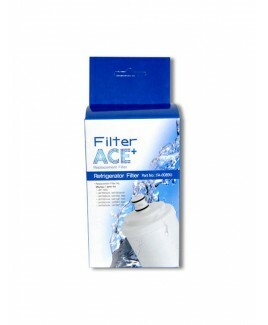 The materials used in this water filter are top quality ensuring that the product lasts longer while filtering away most of the impurities that give water a strange odor and taste. 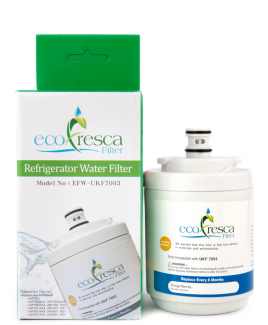 This water filter will also prolong the life of your refrigerator. 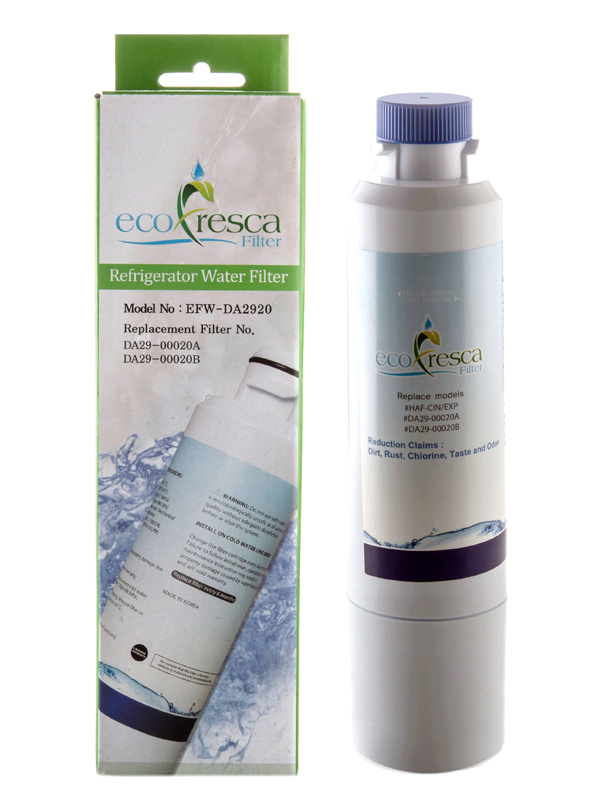 It was designed to lessen the sediment deposits in your refrigerators ice machine. 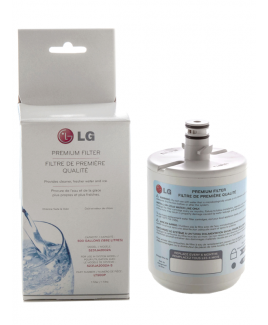 The filtration process handled by this water filter involves the passing of the water from the exterior surfaces until it goes into the middle of the cartridge. 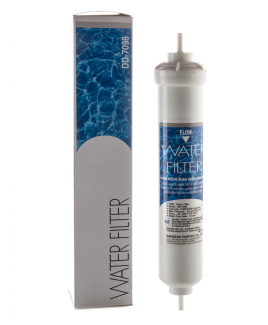 With every filtering layer that the water goes through, the pores of the filters become smaller, so as to get rid of even the most minute particles or impurities in water. 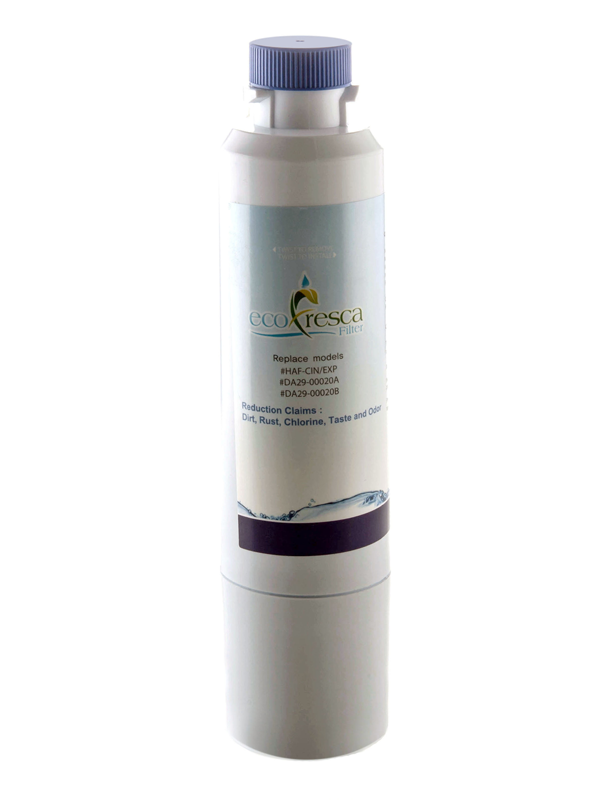 It does not remove minerals which may be beneficial to health such as fluoride. 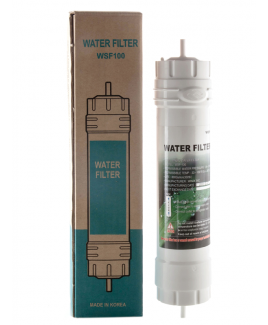 The interval of the changing of these filters is dependent on the quality of your water as well as on the water consumption of your entire household. 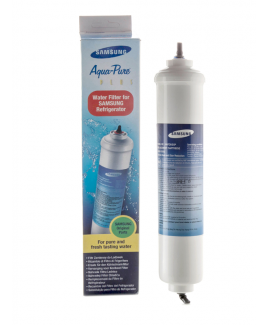 This refrigerator water filter is used in select Samsung French door and side-by-side refrigerators with filter access inside the refrigerator. 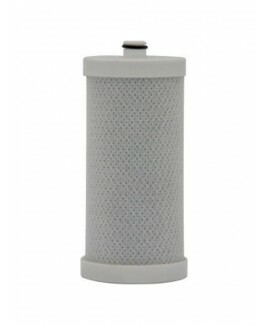 Samsung DA29-00020B water filter can be used in the system for Model: DA97-08006A-B. 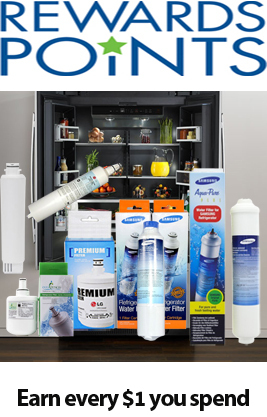 Fits Models RS267, RFS265, RS263, RS261, RFG293, RF4287.